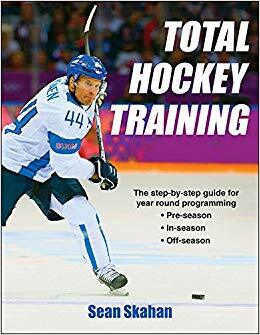 I am pretty excited today because not only was it a good week at HockeySC.com, but I just received copies of my first soon-to-be-released information products. I am going to be releasing 2 DVD’s which are going to benefit hockey players, trainers, and coaches immensely. My friends Frank Addelia and his wife Betsy, Strength and Conditioning Coach Jason Carroll, and I spent a recent Saturday afternoon filming all of the exercises and progressions. I can tell you that Frankie does an unbelievable job at what he does. I am excited to have the finished products ready to go soon. Stay tuned. At HockeySC.com, we had another good week of content additions. In addition to our new featured content, the forum has been busy with more discussions including threads on motivation, nutrition, and a new one on 1-leg cleans. Make sure you check out the forum. Youth Program: Lateral Speed Teaching by Mike Potenza. In these videos, Mike goes over his lateral speed progressions. I like how he starts off with a stabilization or “holds” phase. I like these progressions and like other programs and videos on the site, these progressions remind me of great exercises that I may of gotten away from but should probably still be doing (I hope that makes sense!). Great stuff from Mike. Left, Middle, Right Lunges by Darryl Nelson. In the video of the week, Darryl shows some tri-planar variations of lunges both with a Valslide and with stepping. The video shows a Goblet style dumbbell hold variation which I definitely like. I have always used these movements as a warm up, but as Darryl shoes, you can definitely load them as well. Last up is Kevin’s Youth Hockey Training Blueprint part 2. Honestly, this piece is in-depth and it is very good. Kevin is an awesome writer who is also very smart. I am going to have to read and re-read this one over again. This is a really good piece that really exhibits the quality of content that we have on this site. Really good work from Kevin. I hope everyone has a great weekend and a happy Thanksgiving next Thursday. Be the first to hear about new sports conditioning content! Your privacy is important to me. I will never SPAM you, and your email will never be sold or shared. Click below to grab your copy!